Producing reusable code that is easier to write and read. Ensuring relations conform to specified restrictions, for example injectivity or surjectivity, and safely handle nonstandard mappings, including unexpected inputs, NAs, heterogeneous lists containing multiple variable types including other lists, and mappings between vectors of uncertain or unequal lengths. For more detailed information, see the help documentation with ?relate and the Relation Types and Restrictions vignette. For basic use, relate maps a vector of inputs X from their position in a vector of keys A to the corresponding value in vector B. relation returns a function that performs the same mapping for repeated usage. # Create a reusable dictionary function with relation(). # output and default return values. When working with unfamiliar data it can be easy to forget to account for all possible values a variable might take, or worse, typographical entry errors. Using allow_default = FALSE, relatable functions can flag unexpected inputs to ensure these problems don’t arise. 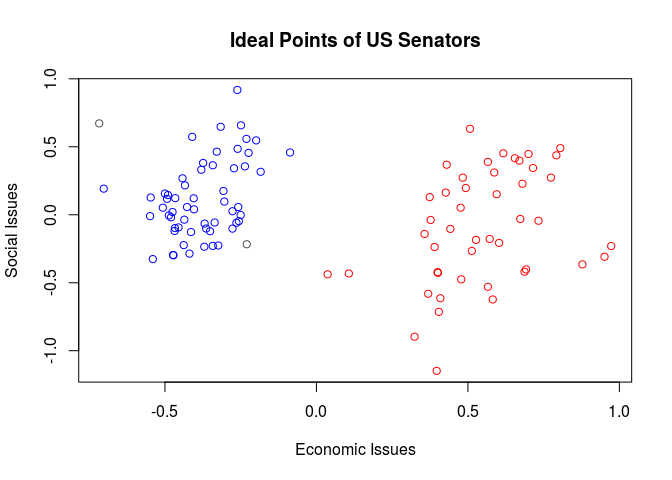 ## Obtain data for senators in the 113th Congress, spanning 2013-2015. ## Setting allow_default = FALSE ensures we will be notified of any funny inputs. #> element in the codomain. relate returns a vector Y = F(X) where F maps each element of input vector X from its position in vector A to its corresponding position in vector B. Can be applied as a vectorised key-value dictionary with an optional default return value. Additional options restrict mapping types so relation F must be a function, injective, surjective, etc. relation returns a reusable function F that performs the same operation as relate. In addition to providing a reusable function, if handle_duplicate_mappings = TRUE, relation checks for and eliminates duplicate mappings that would be invalid inputs for relate. If report_properties = TRUE, relation also prints the restrictions the mapping from A to B conforms to.